What are fancy colored diamonds? From their position of relative obscurity a few years in the past, fancy colored diamonds have been steadily rising in popularity and value. Despite the fact that most people do not know them by the appellation “fancy colored diamonds” and refer to them mostly by their color (“pink diamond,” “blue diamond), a Google search of the term will show millions of results. People are definitely talking about fancy colored diamonds, and for good reason. Fancy colored diamonds cut across an extremely wide variety of colors, from the blue and pink that are celebrity favorites, to various hues of yellow, orange, lemon purple and a lot others. The rarest colors are blue, pink, pure orange, green and red, with yellow (various hues all called canary diamonds), brown (chocolate, cognac and champagne), black and grey occurring somewhat more often. Despite this, each fancy colored diamond is completely unique, with a color combination that is unlikely to be perfectly matched by any other diamond. White color diamonds are more commonly traded and unlike white diamonds fancy color diamonds do not have have a standard scale against which the color of fancy diamonds is measured. Basically, the deeper and more intense the color and the higher the clarity of the stone, the more scare, and therefore more valuable, the stone. This is the criteria on the basis of which fancy color diamonds are priced. Pink diamonds for example are extremely rare and if you find a natural pink diamond with high intense pink color and with fewer inclusions, the stone would be highly valuable. 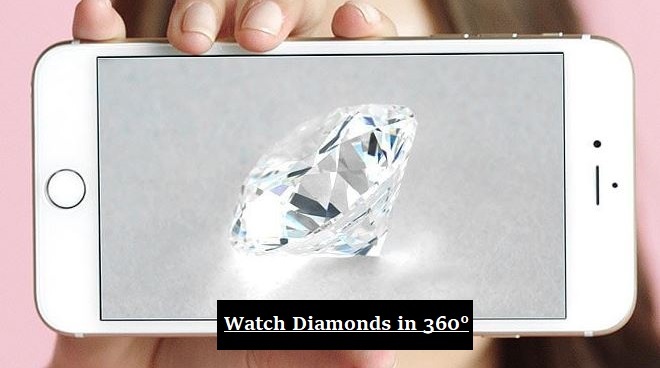 The unusually high value of this class of diamonds stem from a number of factors. One of them being how little the information is that is available about them. Their formation itself defies the conventional knowledge as regards the formation of diamonds. The several conditions that must be present for normal white diamonds to form are fundamentally altered to enable fancy colored diamonds to form. The elements that create the color usually replace some carbon atoms in the atomic matrix of the gemstone. For instance, the presence of nitrogen is responsible for the yellow coloration of some diamonds, while distortion in the atomic structure as a result of heat or pressure is believed to be the cause of the various hues of pink diamonds. Apart from their mystery, their sheer rareness is a very important factor that contributes to their value. Fancy colored diamonds make up less than 1% of all the diamonds mined in the world today, and out of 10,000 carats of diamond cut, only one is a fancy colored diamond. For this reasons, fancy colored diamonds are extremely valuable whether uncut and loose or cut and set into one piece of jewelry or the other. Of recent, they have been touted in several places as a viable solid investment alternative, with some colors increasing in value at rates of between 10 to 15 percent every year, effectively doubling their value over a period of just five years. Overall, natural fancy colored diamonds of investment grade have the highest per-carat value of all precious stones. The way in which the value of fancy colored diamonds is calculated is very unique too. As opposed to white diamonds where the 4Cs of cut, clarity, carat weight and color and jointly evaluated to assign a final grade and value, fancy colored diamonds have an inordinate amount of emphasis placed on their color. The hue, color saturation, color purity and intensity are all considered important qualities in the value of a fancy colored diamond. The availability of the particular color of diamond will also play a role in its valuation; the rarer a diamond’s color is, the more valuable it will be. Inclusions are also considered desirable in fancy colored diamonds, in direct contrast with conventional white diamonds. They are technically flaws, but are valued in fancy colored diamonds for the unique tones and beautiful flashes of color that they usually add to the stone. 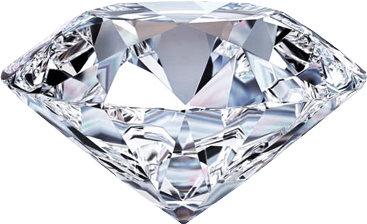 To provide people interested in fancy colored diamonds with a comparative level of peace of mind as can be gotten with conventional white diamond, jewelry labs Gemological Institute of America (GIA) and International Gemological Institute (IGI) evaluate, grade and issue certificates for fancy colored diamonds. All their features make fancy colored diamonds a very viable and attractive investment alternative, as well as beautiful pieces of jewelry!